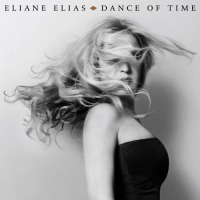 This week, let's take a look at some videos from pianist and singer Eliane Elias, who's coming to St. Louis to perform next Saturday, March 2 at the Sheldon Concert Hall. A native of São Paulo, Brazil, Elias was something of a child prodigy as a pianist, teaching music and performing professionally while still a teenager. She first came to the US in 1981 to study at Juilliard, and began to attract wider attention upon joining the jazz-fusion group Steps Ahead the following year. Elias released her first album Amanda, a collaboration with her then-husband, trumpeter Randy Brecker, in 1985. That was followed in 1987 by her first recording on her own as a bandleader, the trio album Illusions with drummer Steve Gadd and bassist Stanley Clarke. 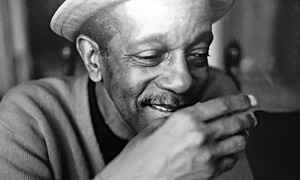 In all, Elias has recorded more than two dozen albums in a variety of musical styles, along the way winning honors including a couple of Grammy Awards for Best Latin Jazz Album" and a Best Jazz Album" award in DownBeat's Readers Poll. Her most recent recording, released in 2018, finds her doing something a bit different: adapting songs from the Broadway show Man of La Mancha as instrumental Latin jazz numbers at the request of Mitch Leigh, who composed the score for the original Broadway production. Concertgoers next week at the Sheldon probably will get a chance to hear some of that material, as well as original compositions and some the Brazilian standards that Elias has returned to periodically throughout her career. 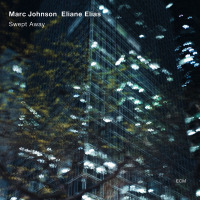 You can get some of the flavor of Elias' show by checking out the first video up above, which documents part of her performance last July at the Edison Jazz/World festival in Rotterdam, the Netherlands, backed by her husband Marc Johnson on bass and Tiago Michelin on drums. After the jump, you can see her perform the Brazilian standards Desafinado" and The Girl From Ipanema" with Johnson and drummer Rafael Barata at the 2017 Trieste Loves Jazz festival in Italy. Next, there's a clip of Elias doing So Danco Samba" in 2015 at the International Jazz Day All-Star Global Concert in Paris, accompanied by trumpeter Claudio Roditi, Johnson on bass, Mino Cinelu on percussion, and Terri Lyne Carrington on drums. The penultimate video shows Elias' entire set from the 2014 Jazz a Vienne festival, backed by Johnson, Barata, and guitarist Graham Dechter. The final clip is a version of Chega De Saudade," made famous as the title song from João Gilberto's first album, as recorded in 2010 at the Avo Session festival in Basel, Switzerland with Johnson, Barata, and guitarist Rubens de La Corte.